Worship at 10am Our worship is spirited and traditional, with space for both silence and song. Come as you are. Sunday School 10:20-11:00am During the school year, children participate in both worship and Sunday School every week. 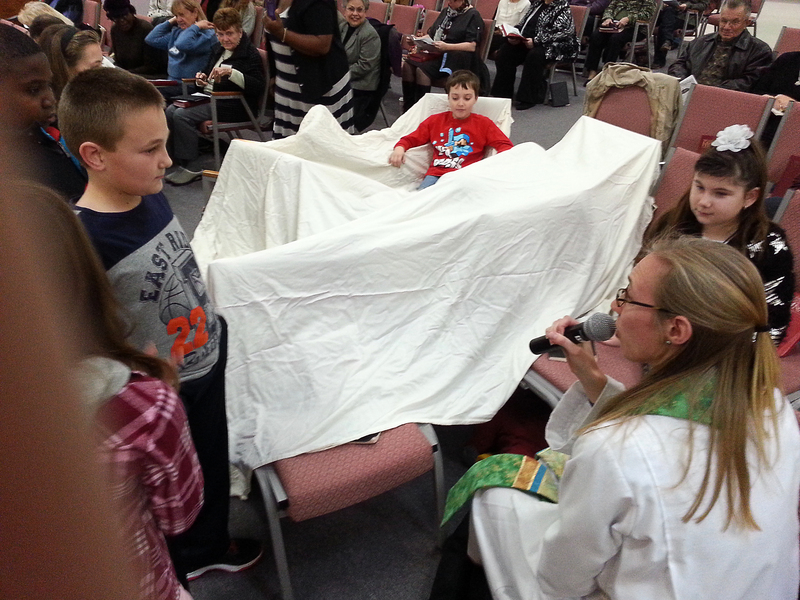 Each Sunday they are invited to be in worship until the children’s moment with the Pastor. Afterwards, kids ages 2 years—5th grade are dismissed for SS (around 10:20). You’ll register and check-in your child on the way into the Sanctuary. Bring this Registration Form with you, or fill it out when you first arrive. Community Hour is a time for you to connect with and get to know each other in a deeper way. Community Hour is the hour following our service. It runs from 11:15-12:15pm. There is something for everyone in Community Hour, below is a list of the classes that will be offered this fall. Nursery Care (infants – 3s) Play with our delightful Nursery Director, Zarena.